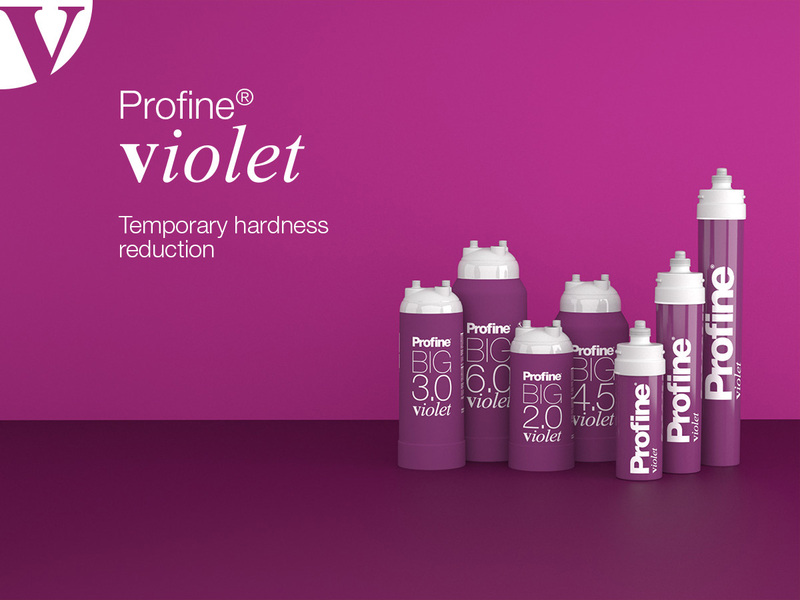 PROFINE® VIOLET is disposable cartridge for the removal of the temporary water hardness, the last phase of filtration is by “Profine® Carbon Block” technology with silver ions, filtration 0.5 microns for bacteriostatic action. 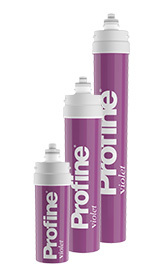 of drinking water, the last phase of filtration is by “Profine® Carbon Block” technology with silver ions, filtration 0.5 microns. If the cartridge is used in equipment related to the food sector, this system must meet the requirements of European Community Directive 178/2002. * The data shown on the services may vary according to the water quality and adjacent. 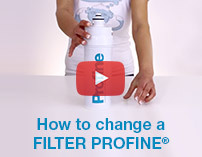 * The effect of the filter cartridges depends on the hardness of the incoming water. meet all food service, catering and automatic distribution demands. 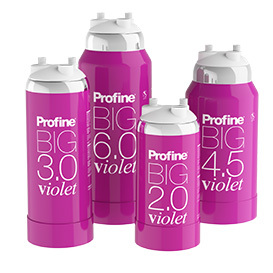 It is ideal for use with automatic drink dispensers, coffee machines, steam and combined ovens. The cartridge must only be feed with cold water and mounted in vertical position. Use only in-out 3/8” female connections.